Absalom was the most handsome, cunning, and ambitious of David's sons. 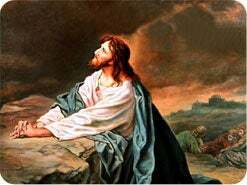 The Bible says, "But in all Israel there was none to be so much praised as Absalom for his beauty: from the sole of his foot even to the crown of his head there was no blemish in him." 2 Samuel 14:25. But this determined young prince wanted more than just the admiration of the people for his stunning appearance. He wanted the power of his father's throne. 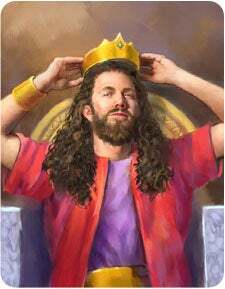 He wanted to be king of Israel at any price. 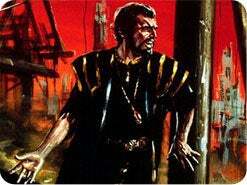 First Absalom killed his older brother, Amnon, after Amnon mistreated his sister Tamar. Amnon was David's firstborn son and in line to follow David as king. 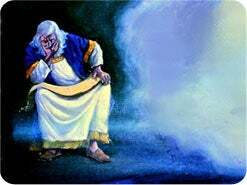 Then, after Absalom wormed his way back into his father's favor he began to sow subtle seeds of doubt throughout the kingdom about David's leadership, judgments, and laws until he "stole the hearts of the men of Israel." 2 Samuel 15:6. Finally, his sinister plan erupted into a full-blown rebellion as Absalom tried to assassinate his own father and kidnap the kingdom. 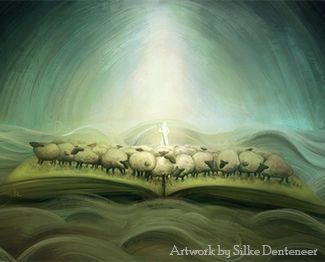 David and his followers were forced to flee from Jerusalem. But after a severe battle a few days later, David was once again secure on his throne, and handsome Prince Absalom was slain. A sad story indeed, but this was not the first such royal family feud. In another great kingdom long ago, very similar events led to the most tragic rebellion of all time. The kingdom was called heaven! 1. What was the name of the rebellious prince in heaven, and why did he rebel? Isaiah 14:12. How art thou fallen from heaven, O ______________, son of the morning! Isaiah 14:13, 14 For thou hast said in thine heart, ... I will be like the most High. Ezekiel 28:17 Thine heart was lifted up because of thy beauty, thou hast corrupted thy wisdom by reason of thy brightness. 2. Did God make a devil when He created Lucifer? Ezekiel 28:15. Thou wast ______________ in thy ways from the day that thou wast created, till iniquity was found in thee. NOTE: God made a perfect angel who, of his own free will, chose to be a devil. It may be hard to imagine, but if we knew Lucifer before his fall, we would have loved him. We don't know exactly how long, but Lucifer may have joyfully served God for eons before he began to cherish seeds of pride and resentment in his heart. The Lord could have made all of His creatures like robots, but a robot cannot love. True love must be willing to take risks. This is why parents decide to have children, knowing that at some time they may choose to disobey. God allowed Lucifer to carry out his rebellion for several reasons. First, to forever settle any question of whether or not God makes His creatures with freedom of choice. Second, if God had destroyed Lucifer as soon as he began spreading doubts about God's love and government, the other intelligent creatures would have forever had lingering questions. They might have thought, "Perhaps Lucifer was right." Therefore, Lucifer was allowed to demonstrate the horrible results of sin. Finally, God does not want His creatures to obey Him merely because He will punish them if they don't. He wants us to obey from principles of love rather than from fear. Revelation 12:7. And there was ______ in heaven: Michael and his angels fought against the dragon; and the dragon fought and his angels. 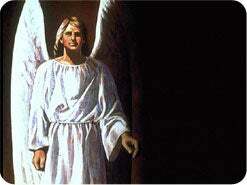 NOTE: Eventually Lucifer and the angels who sided with him were expelled from heaven. 4. What powerful beings work under the devil's command? Revelation 12:9. He was cast out into the earth, and his ____________ were cast out with him. Revelation 12:4 And his tail drew the third part of the stars of heaven, and did cast them to the earth. 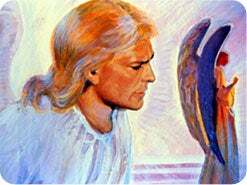 NOTE: Satan is so cunning that he was able to deceive one-third of the angels of heaven into following him in his rebellion against God. 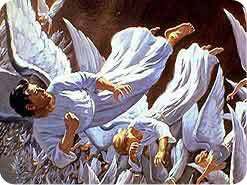 Now called "devils" and "demons," these fallen angels carry out Satan's plans. In our story of Absalom, we notice that he likewise did very little of his own dirty work. Absalom ordered his servants to execute his wishes. 2 Samuel 13:28 Now Absalom had commanded his servants, saying, Mark ye now when Amnon's heart is merry with wine, ... then kill him, fear not: have not I commanded you? 2 Samuel 14:30 Therefore he said unto his servants, See, Joab's field is near mine, ... go and set it on fire. 5. 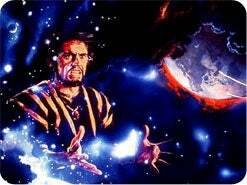 What methods does Satan use in his work? Revelation 12:9. Satan, which __________________ the whole world. B. Mark 1:13 And he was there in the wilderness forty days, tempted of Satan. 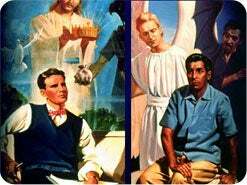 C. Revelation 16:14 For they are the spirits of devils, working miracles. 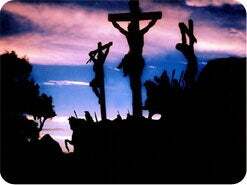 D. Revelation 12:10 For the accuser of our brethren is cast down, which accused them before our God day and night. E. John 8:44 He was a murderer from the beginning. ... For he is a liar, and the father of it. 6. When is the devil most dangerous? 2 Corinthians 11:14, 15. And no marvel; for Satan himself is transformed into an __________ of light. NOTE: Just as the devil did, Absalom pretended to love the people and displayed an interest in their welfare in order to deceive them. 2 Samuel 15:5, 6 And it was so, that when any man came nigh to him to do him obeisance, he put forth his hand, and took him, and kissed him. And on this manner did Absalom to all Israel that came to the king for judgment: so Absalom stole the hearts of the men of Israel. 7. Does Satan know the Bible? Matthew 4:5, 6. Then the devil ... saith unto him, If thou be the Son of God, cast thyself down: for it is _____________, He shall give his angels charge concerning thee. NOTE: The devil is an expert at quoting and misquoting the Bible for the purpose of deceiving people. That is why it is essential that God's people know the Scriptures for themselves to avoid being misled. 8. Whom on earth does the devil hate most? Revelation 12:17. 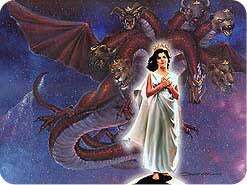 And the dragon was wroth with the woman, and went to make war with the ______________ of her seed, which keep the commandments of God, and have the testimony of Jesus Christ. 9. What two deadly animals does the Bible use to portray Satan? 1 Peter 5:8. 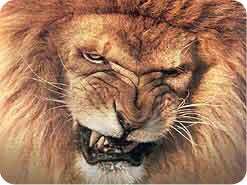 Be sober, be vigilant; because your adversary the devil, as a roaring ________, walketh about, seeking whom he may devour. Revelation 12:9 And the great dragon was cast out, that old serpent, called the Devil, and Satan. NOTE: Both lions and snakes use stealth and diversion to capture their prey. Like the devil, they spring suddenly upon their victims and are ruthless and indifferent to suffering. 10. What is the only way we can resist Satan? James 4:7, 8. ____________ yourselves therefore to God. Resist the devil, and he will flee from you. Draw nigh to God, and he will draw nigh to you. NOTE: The best ways to draw near to God are through prayer and seeking to know Him through His Word. 11. How did Jesus fight the assaults of the devil? Matthew 4:10. Then saith Jesus unto him, Get thee hence, Satan: for it is ______________. 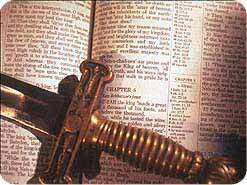 Hebrews 4:12 For the word of God is quick, and powerful, and sharper than any two-edged sword. NOTE: Our only safety from Satan's clever deceptions is in storing God's Word in our minds to keep us from sin. The same tools Jesus used to fight the devil are needed and available to us today. 12. How will the final fate of Satan resemble that of Absalom? 2 Samuel 18:17. And they took Absalom, and cast him into a great ______ in the wood. Isaiah 14:15 Yet thou shalt be brought down to hell, to the sides of the __________. 13. 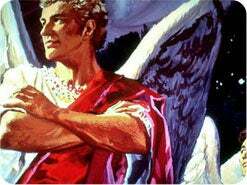 Will Satan ever reappear to tempt God's people? Ezekiel 28:19. ______ shalt thou be any more. Nahum 1:9 Affliction shall not rise up the second time. 14. How does God feel about the destruction of the wicked? Ezekiel 33:11. Say unto them, As I live, saith the Lord God, I have no pleasure in the death of the wicked; but that the wicked ________ from his way and live: __________ ye, __________ ye from your evil ways; for why will ye die? 15. How did David respond when he learned that his rebellious son Absalom had been slain? 2 Samuel 18:33. 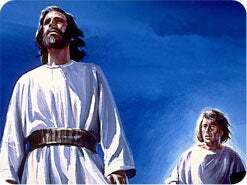 And the king was much __________, and went up to the chamber over the gate, and wept: and as he went, thus he said, O my son Absalom, my son, my son Absalom! would God I had died for thee, O Absalom, my son, my son! 16. Will you choose now to love and serve Him?
. This touching picture displays how our heavenly Father feels about His lost children. Not only was He willing to die in our place; He went one step further--He gave His greatest gift, His Son! God is not willing that any should perish. He is desperate for you to be saved. This is why Jesus died in your place. 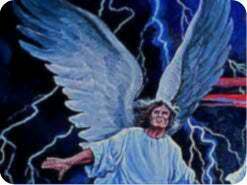 Most of the world has joined Satan in rebellion against the heavenly Father. Since the kings of Babylon and Tyre exhibited the same policies and suffered the same complete destruction as will Satan's kingdom, God used them to represent Satan himself. Virtually all Bible authorities are in agreement on the symbolism. 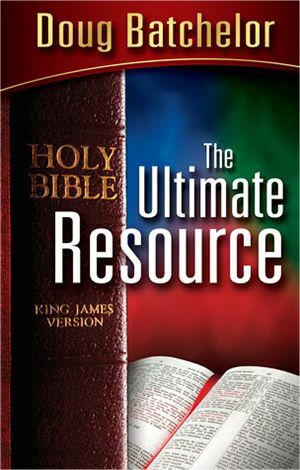 Incidentally, the Bible records many other references to Lucifer (see Luke 4:5, 6 10:18 John 8:44 2 Peter 2:4 1 John 3:8 Jude 6 Revelation 12:7-9), but without Ezekiel 28 and Isaiah 14, we would not have the complete history. Many people expect Satan to openly appear as God's enemy in the end time, but this is not so. Satan is indeed God's bitterest enemy, but his approach will be to feign righteousness (Matthew 24:24). He can appear as a glorious, angelic being (2 Corinthians 11:13-15) and will seek the worship of people (Revelation 13:12). Scripture is clear that his godly front will be so convincing that "all the world" will wonder after the beast (Revelation 13:3). Talk about a tragedy! Satan will be so effective in posing as Christ that virtually the entire world will follow him, thinking all the time that they are following Jesus. Will you be deceived? Not if you heed the Bible warnings presented in this series. Satan is delighted when people portray him as an ugly, red, bat-winged creature that is part-man and part-beast, having split hooves and a long, pointed tail, or carrying a pitchfork and stoking the fires of hell. Nothing could be further from the truth. Such concepts come from Greek mythology. No such nonsense can be found in Scripture. 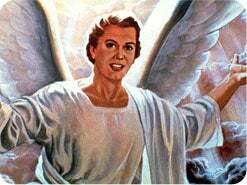 The Bible describes Satan as a brilliant, highly attractive angel with an uncanny ability to communicate. He is also well acquainted with Scripture (Matthew 4:5, 6). The devil is a self-proclaimed enemy of God whose aim is to defame His character and capture His kingdom. Satan also despises you and your loved ones and has plans to destroy you. This series will help you understand his plans and learn how to thwart them. Just place your life in the protective care of your mighty Saviour, and pray earnestly for His guidance.